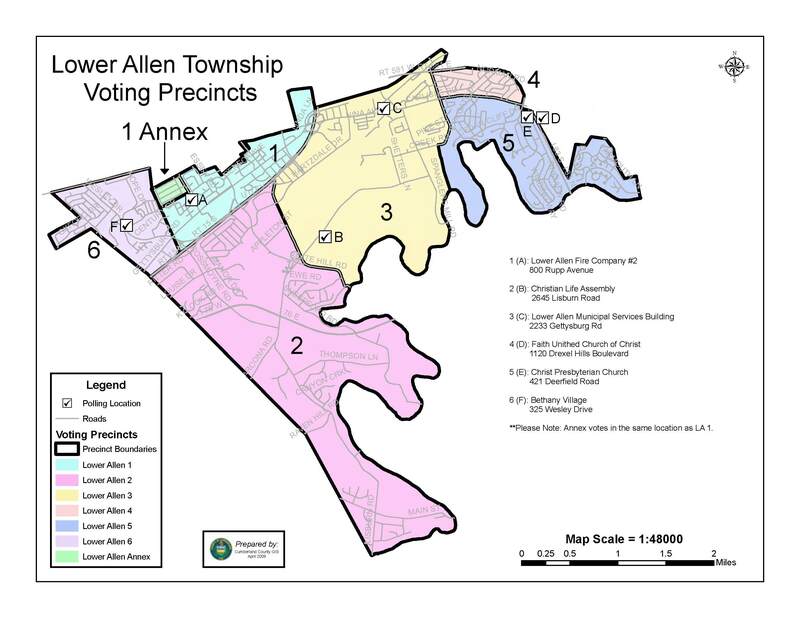 Max Stoner, Chairman called the meeting of the Lower Allen Township Development Authority to order at 6:01pm and announced Proof of Publication was available for review. Peddrick Young and Salvatore F. Marone were absent with excuse. Mr. BLACK made a motion to approve the minutes of the February 19, 2019 meeting. Mr. EBY seconded the motion. Motion carried, 2-0 with Chairman Stoner abstaining since he was not present. ACTION: Approval of Bon-Ton project February-March Expenses. Mrs. Trone explained the items with check numbers are issued; the items without check numbers have not been issued. Mr. EBY made a motion to approve the Bon-ton project expenses as listed. Mr. BLACK seconded the motion. Motion carried, 3-0. ACTION: Enter into an Agreement with Lower Allen Township Authority to construct a gravity sewer line to serve Bonefish and future pad sites located at 3525 Gettysburg Road. Mrs. Trone and Solicitor Miner explained the process where both entities will be approving this agreement. She explained this Board will vote to approve and then it will go to the Lower Allen Township Authority who will also vote to approve. Discussion ensued. Mr. EBY made a motion to authorize the execution of this agreement with Lower Allen Township Authority for the gravity sewer project to serve the Bon-Ton redevelopment site which is contingent upon the cost estimate from the design engineer. Mr. BLACK seconded the motion. Motion carried, 3-0. ACTION: Award Abatement Contract for Former Camp Hill Bon-Ton and Borders. Mrs. Trone explained the bid opening for the abatement happened at 4:00 and the bid sheet in the Board’s packets. There were five bidders with First Capital Insulation being the lower of the five. The solicitor has reviewed this also. Discussion ensued. Mr. EBY made a motion to award the abatement project for Bon-Ton to First Capital Insulation, Inc., 300 Hudson Street, York, PA for the amount of $86,950.00 contingent upon satisfactory results of staff checking references. Mr. BLACK seconded the motion. Motion carried, 3-0. ACTION: Authorization of Lower Allen Township public safety personnel to train and run exercises on the Bon-Ton and Borders premises prior to demolition. Mrs. Trone explained this will not be done until after the abatement and she will also check with the insurance company as well. Mr. EBY made a motion to approve Bon-Ton for in-service training for Lower Allen Township Public Safety, specifically the police department, per the memo received. Mr. BLACK seconded the motion. Motion carried, 3-0. Amending By-Laws Discussion at April Meeting. Solicitor Miner explained while closing the real estate deal he reviewed the by-laws and although there is nothing urgent, they do need reviewed and improved. He stated he has made some recommended changes and Mrs. Trone will provide for next meeting. Award Landscape Contract at April Meeting. Mrs. Trone explained she is working on putting together a document for the landscape contract for the summer. She is considering doing it for property maintenance so it may include snow removal for the next year also. Discussion ensued. Electric separation contract/bids; Mrs. Trone explained we are still looking to do the electric separation; however, there weren’t any quotes received. There is now one received so we still cannot move forward with this. In addition, the quote received is above the threshold so unless others are received that are lower, we may have to bid this out also. Discussion ensued. Trone provided the Board with a memo on updates on the project explaining significant gains were made this month. Black inquired what the current status is of the grant. Mrs. Trone stated the meeting is planned for March 26th. Eby has an update on action the Board took last month to give surplus property to a business owner moving from the Carlisle Pike to a long-vacant property in Rana Villa. The Township was able to authorize zoning and construction permits for the building today which enables the owner of the business to have his PIDA loan financing with the assumption that permanent improvements will be made so the value of the property can validate the loan. Therefore, the Board helped facilitate a business moving in to Lower Allen Township. 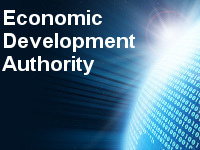 The next meeting of the Development Authority is scheduled for Tuesday, April 15, 2019 at 6:00pm.